Pole-sitter Gilles Villeneuve caused mass confusion at the end of the warm-up lap when - incredibly - he simply forgot to stop at his grid slot and carried on half-way down the start/finish straight. With the rest of the grid not knowing how to react in this situation the start had to be delayed as some called for Villeneuve to be penalised. He wasn’t - instead, he completely dominated the race to win, set fastest lap and lead every lap, clinching the only grand chelem of his career. Teammate Jody Scheckter ended up second as the rest of the field struggled to find a way ahead of Jean-Pierre Jarier’s Tyrrell. Eventually it was Alan Jones who completed the podium ahead of Mario Andretti and Patrick Depailler, with Jarier slipping to sixth by the finish. 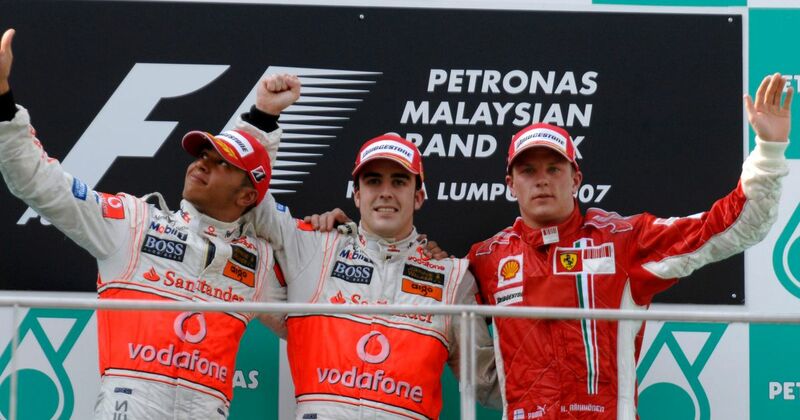 Fernando Alonso dominated to claim victory for McLaren after pole-sitter Felipe Massa messed up his start and then ran off-track trying to pass Lewis Hamilton for second. 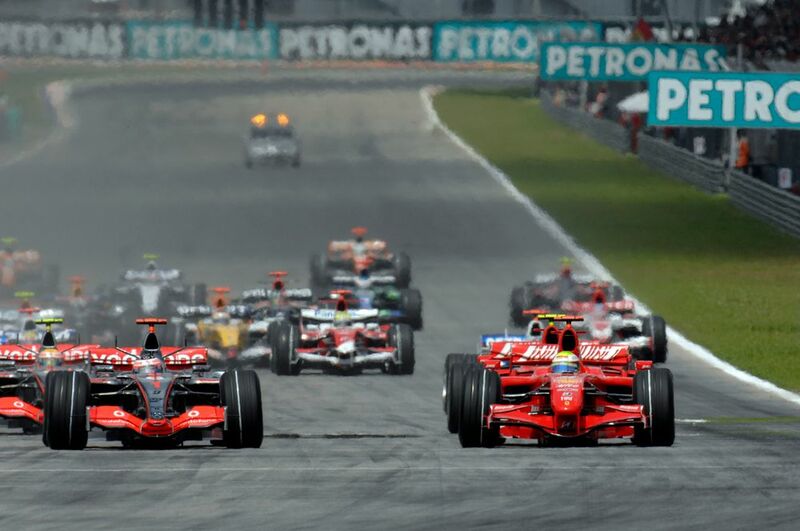 That left Hamilton second and Kimi Raikkonen third, which is pretty much how the order stayed for the rest of the race, with Nick Heidfeld fourth and Massa ending up fifth. Sebastian Vettel superbly managed his tyre wear to convert a planned two-stop strategy into a risky one-stopper after an incident in the pit lane for teammate Kimi Raikkonen left a mechanic with a badly broken leg. 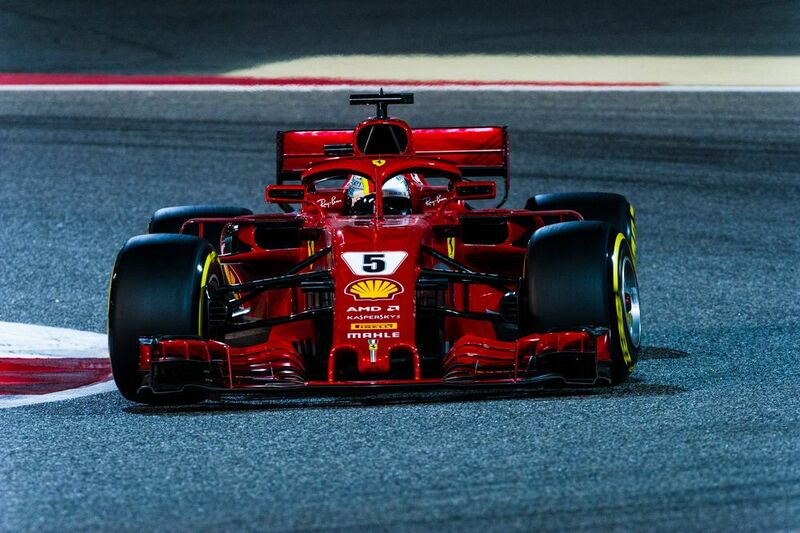 To make the strategy work, Vettel had to stretch the life of his tyres and even tried to trick Mercedes into not pushing hard by saying his tyres were fine, when really he was starting to struggle. His pace fell off in the closing laps and Valtteri Bottas rapidly closed in and had half a chance of lunging ahead into the first corner on the final lap, but didn’t take it and ended up second. Lewis Hamilton came through from ninth to third after a gearbox and some dramatic battles, including a three-car overtake on the pit straight and a bit of contact with Max Verstappen. Pierre Gasly finished a remarkable fourth for Toro Rosso in its second race with Honda power - a better result than McLaren had managed in the previous three years with Honda - and Marcus Ericsson ended a streak of 49 races outside of the points when he claimed ninth for Sauber. Mark Blundell (born 1966) made his debut with Tyrrell in 1991, the spent a year testing for McLaren before returning to F1 with Ligier in 1993. He scored two podiums that year before joining Tyrrell for 1994, where his third place in the Spanish GP proved to be the team’s final podium. In 1995 he ended up replacing Nigel Mansell at McLaren and although it turned out to be his most successful season in terms of points scored, he found himself out of a drive at the end of the year and went off to race in CART.